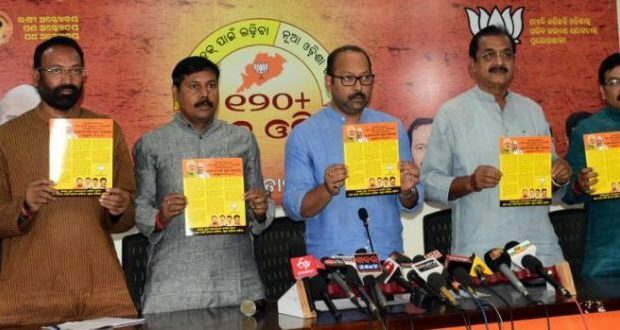 Bhubaneswar:25/10/18: The Odisha unit of Bharatiya Janata Party (BJP) on Thursday said it would stage a demonstration in all the blocks in protest against the rampant corruption during the 19-year rule of the Biju Janata Dal (BJD) government. The BJP will gherao all the block offices across Odisha from October 27 to August 30 against corruption. “We will launch a block-level agitation from Oct 27 till 30 to expose the BJD government,” said state BJP general secretary Bhrugu Baxipatra. “BJP will hit the street on the issues of mega scams in chit fund, mining, dal, sapling plantation and auction of Balighat. Apart from this, the party will unmask the fraudulent activities of the BJD government in providing agriculture loan to the farmers and not providing them minimum support price (MSP) during paddy procurement and massive financial irregularities in the input subsidy,” he added. Buxipatra said the government has implemented the Ama Gaon Ama Bikash scheme for welfare of its brokers and contractors with work order being allotted to the party workers by ignoring the decision of the gram sabha, palli sabha, the sarpanch and the samiti members. “The state government’s inefficiency and corruption is the chief reason that the beneficiaries are out of reach of the central schemes in rural areas,” he added.